No matter where your travels take you, drive with Confidence knowing that the parts purchased from a Parts Plus Autostore or installed at a Parts Plus Car Care Center are protected with our nationwide warranty. 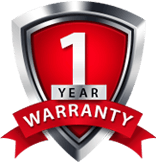 Parts Plus Autostores Worry Free Guarantee provides a limited warranty for the free replacement of a part purchased from any Parts Plus Autostore with the same or equivalent product, throughout the United States, Canada or Mexico, for 12 months or 12,000 miles. For a location near you call 1-800-616-PLUS(7587). Parts Plus Car Care Centers North American Warranty covers parts and labor for most services and repairs performed by the service dealer for the same 12 months or 12,000 miles. For Parts Plus Car Care Center North American Warranty information, please call (877) 252-4609. As a PartsPlus Car Care Center, we offer a nationwide worry-free guarantee and limited warranty for the free replacement of a part purchased from JJ’s Auto Care or any other PartsPlus Car Care Center with the same or equitable product, throughout the United States or Canada for 12 months or 12,000 miles.